Every year, millions of visitors visit incredible sights in the Smoky Mountains like Cades Cove, Newfound Gap, and Clingmans Dome. While there's nothing wrong with visiting these sights, sometimes we all want to explore something a bit further from the beaten path. After you've been to the must see places in the Smokies, you're going to want to explore even more of America's most visited national park. That's why we've made this list of 5 best kept secrets in the Great Smoky Mountains National Park! These beautiful spots are somewhat hidden away, so you can enjoy the beauty of nature without the crowds. These 5 secret places in the national park that are favorite stops for locals and experienced hikers. Explore some of these unfrequented regions in the national park on your next trip to Gatlinburg and the Smokies! Located just off of US-Hwy 321, Cosby is another hidden treasure of the Smokies. This area is primarily a campground, but it serves as a trailhead to one of the most spectacular sights in the national park: the Fire Tower on Mt. Cammerer. To reach the fire tower, you'll need to hike on the Low Gap Trail. Altogether, this strenuous trail requires an 11-mile round trip, but the work is well worth the reward. At the top, you'll be treated to gorgeous panoramic views and you'll get to explore a restored western-style fire tower. Even if you aren't an experienced hiker, the forests around Cosby Campground are exceptionally lush and beautiful. Better yet, you won't run into big crowds in this area of the park. Located only a 15 minute drive from Downtown Gatlinburg, it's surprising that the Greenbrier area of the Great Smoky Mountains National Park doesn't draw bigger crowds. To enter this region of the park, you'll have to drive along an old gravel road that runs parallel to a beautiful stretch of the Little Pigeon River. Ramsey Cascades is the most famous sight in this area of the park. 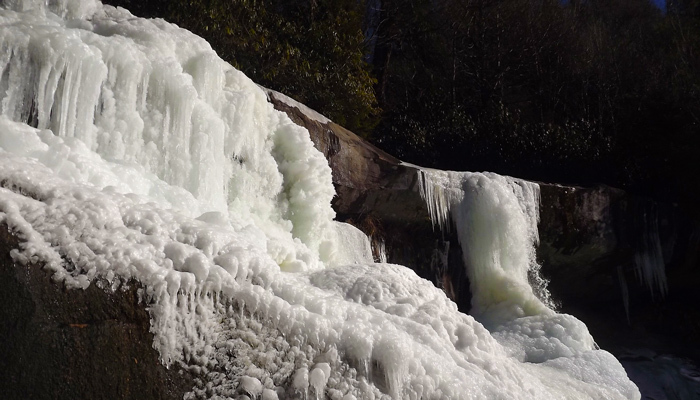 At a height of 100 FT, these impressive cascades are the tallest falls in the Smokies. As an added perk, this region of the park is home to a few sections of old-growth forest that have never been logged before. Some other options for hiking include the Porters Creek Trail and the Old Settlers Trail. These routes are home to some of the biggest concentrations of historic structures in the park. On a hike in the Greenbrier, you'll like pass by dozens of chimneys, rock walls, and other evidence of past residents of this area. If you love exploring old cabins, it's definitely worth checking out the John Messer Barn and the Tyson McCarter Place. This best kept secret is nestled in the North Carolina side of the Great Smoky Mountains National Park. Though it may be a long drive to reach this remote valley, its well worth your time. Cataloochee is famous for having one of the only elk herds in the Eastern United States. Elk are native to this area, but they were over-hunted. 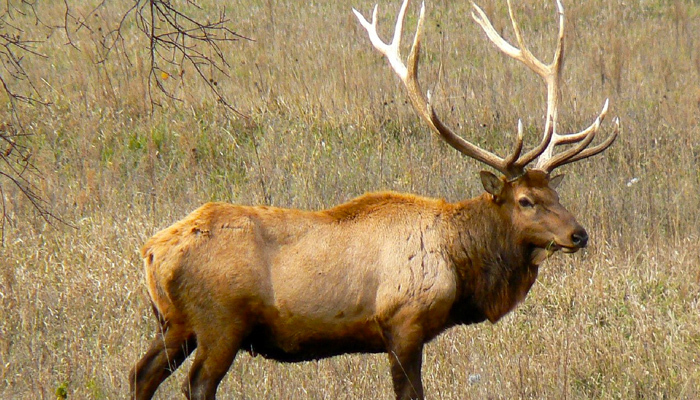 Recent conservation efforts have reintroduced Elk to the Smokies. Other highlights in this peaceful valley include old country churches, farms, and historic homesteads. The Little Cataloochee Trail is a great way to explore the past of this remote region of the park. 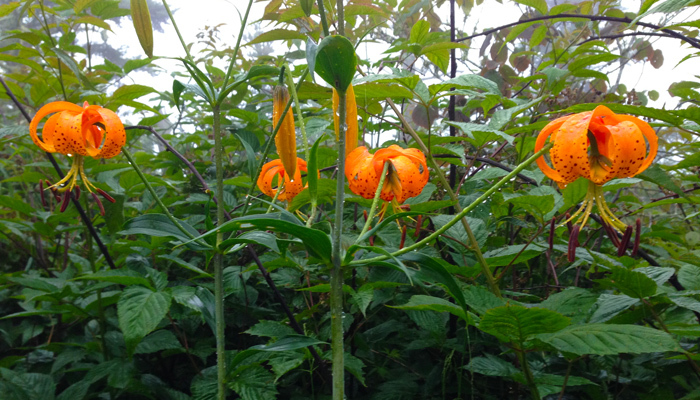 If you love wildflowers and find yourself in the Smokies during spring, you'll want to visit White Oak Sinks. This incredible area of the national park is famous for its lush fields of wildflowers, waterfalls, and caves. White Oak Sinks gets its name because of the water that flows into small caves throughout this small valley surrounded by steep mountainsides. You'll find the trailhead for White Oak Sinks a half a mile into the School House Gap Trail between Cades Cove and Tremont. The trail isn't marked and doesn't appear on most maps. Luckily, the hike to White Oak Sinks is only about 2 miles in length. Occasionally, the park service requests that this trail be closed to protect a population of bats that live in the caves of White Oak Sinks. Recently, the White Nose Fungus was introduced into the area that threatens to wipe out bats in this area. The park service has closed White Oak Sinks until March of 2016, but may reopen this area in the future. Located off of the Little River Gorge Road, Tremont was once the site of a thriving logging community along the river. 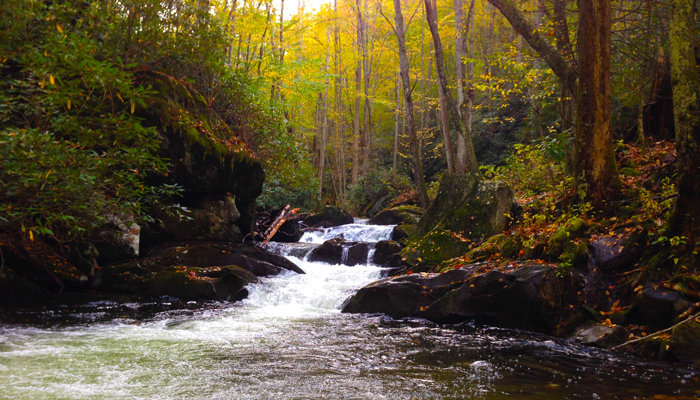 Today, this beautiful part of the Smokies is a great place for fly fishing and hiking. Located at the end of a winding gravel road, the Middle Prong Trail is a beautiful trail that passes by several waterfalls. This wide, level trail was once a logging road and hikers will see artifacts from this period. There is also evidence of CCC work camps and a rusting old jalopy that's nearly 100 years old. Spruce Flats Falls is a lesser known waterfall that's only 0.8 miles away from the Great Smoky Mountains Institute in Tremont. Along the way, you'll traverse some steep, rocky sections of trail, but you'll be treated with gorgeous views of Thunderhead Mountain and a multi-tiered waterfall. This quiet area of the national park is an excellent place to sit back and just listen to the Middle Prong of the Little Pigeon River. With over 800 square miles, the Great Smoky Mountains National Park always holds new wonders to explore. Just when you think you've seen the national park completely, there are always new secrets waiting to be discovered. Use this guide to see a new side of the Smoky Mountains and maybe find your own special places to enjoy! After you experience a few of these hidden spots in the national park, you may want to check out a few of Gatlinburg's best kept secrets! One of the best ways to see all the wonders of the Smokies is to reserve a log cabin just outside of the Great Smoky Mountains National Park. Our cabin rentals in Gatlinburg, TN can help you experience this beautiful part of the Smokies in comfort and style. Better yet, you can save 15% on your cabin by taking advantage of this special deal.